Register Log In GliderCENTRAL Forums Housing & Accessories Baby toys for gliders? would it be okay to buy a glider different baby toys to play with? You know like the one with the hoops that go on the pole- Or I read somewhere that someone gave theirs a barrel of monkeys to play with...Large plastic chains...I want to give my gliders fun things to do that will keep them working and thinking while I'm asleep. Is the general rule that as long as its safe for a baby not to choke on (though I do know a gliders mouth is smaller! im just speaking general terms) Is it safe for a glider? 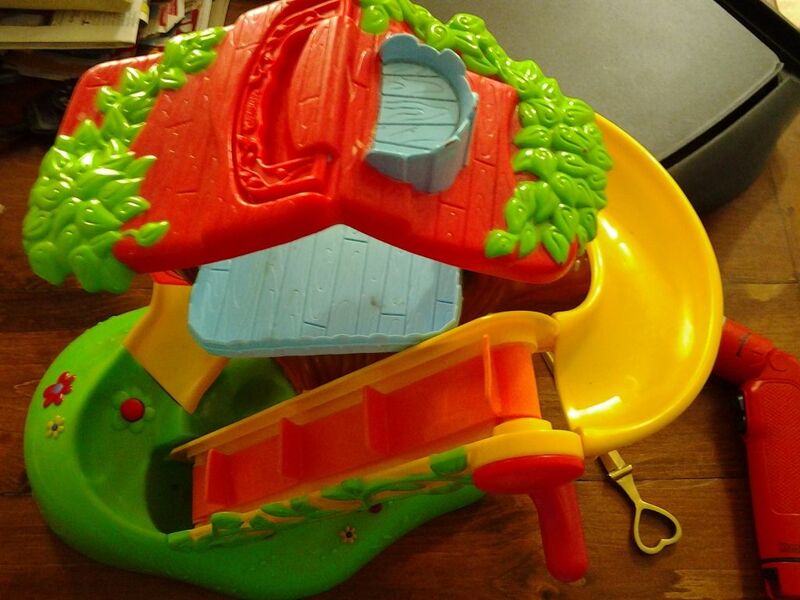 Here is a thread discussing "Toy Making Ideas"
If you look through "Toys and Pouches " in Housing 101 you will find tons of threads for making toys. Hope this helps! P.s. You can also just click the word "toys"
Last edited by Kris_N_Zoe; 12/04/14 11:47 AM. Reason: added p.s. 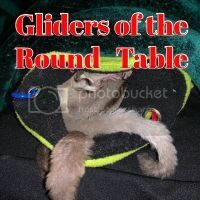 Some baby and/or toddler toys are used for gliders by many. The stacking rings you mentioned should be safe if it's what I'm thinking it is. Baby links are great for hanging toys as well as use as a chain toy themselves. Plastic key ring w/keys and similar is good, avoid any that are filled with liquid or gel. Some Playschool and Little Tikes stuff are also safe, check over for anything that could pose a danger, some are ok use inside the cage, while others are best for supervised "out of cage" playtime. I stripped it down, left it on the base (green), but ended up just removing that as well. The playhouses, barns, castles and the like are also used. 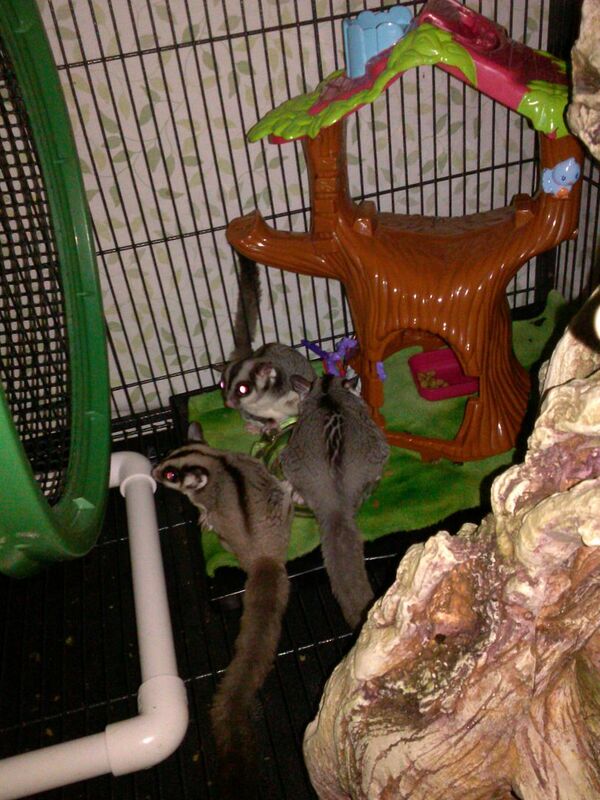 Also, I use a Noah's Arc toy, alternate with the tree house, they love those. Duplo blocks, the bigger the better are also used. Last edited by Terry; 12/04/14 01:58 PM. Baby toys are great for gliders. One thing to watch out for are any small holes that they could attempt to go thru and get stuck, or get in and not be able to get back out. Oh no poor baby! I'll have to keep on the lookout! Yes the glider was fine, but it sure was nerve wracking for the owner! So as mentioned, check for areas they could get stuck and also the moving parts to ensure they can't get hurt on them. I can imagine! I'd be freaking out calmly (as in...in my mind while I tried to fix the situation) but yes I will be careful! Something i've noticed with my gliders is that they tend to get bored easily. My recommendation would be to hit up your local thrift store or once upon a child and look for safe glider toys. I always get mine at the local secondhand kids store because they are a lot cheaper and they have large quantities of fun stuff for your suggies. Oh yes... I was planning on that! WE actually have a thrift store next to where I work about a 5 minute walking distance away XD And jonathan and I love goodwill and stuff... so I'll have to be on the lookout next time we go! 2 registered members (Feather, KarenE), 41 guests, and 37 spiders. 20,217,717 I just found a lump on Timmy's chest--HELP!